The Levitation Globe Ion is an awe inspiring masterpiece. 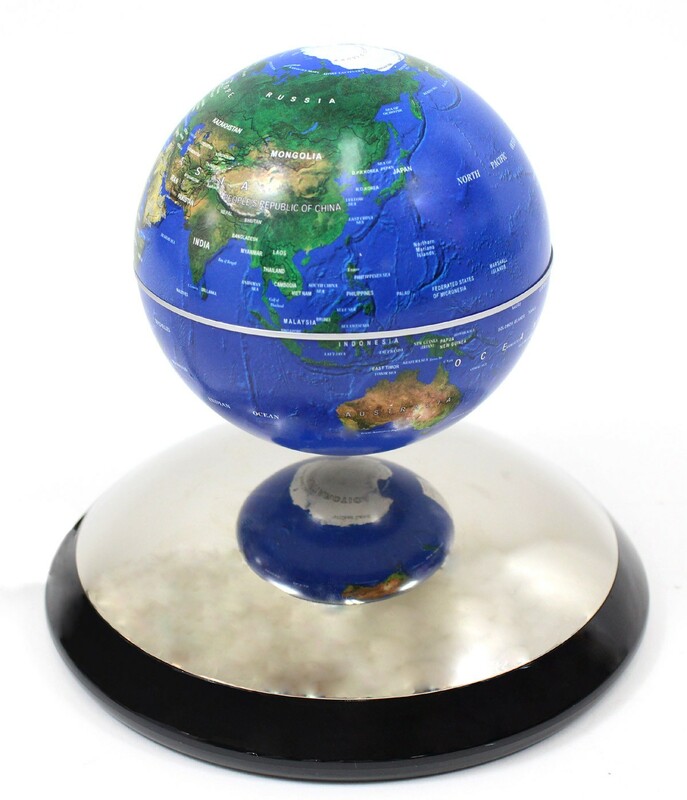 It consists of a 4" Earth globe using NASA imagery levitating and rotating serenely above a stylish high tech domed mirrored base. 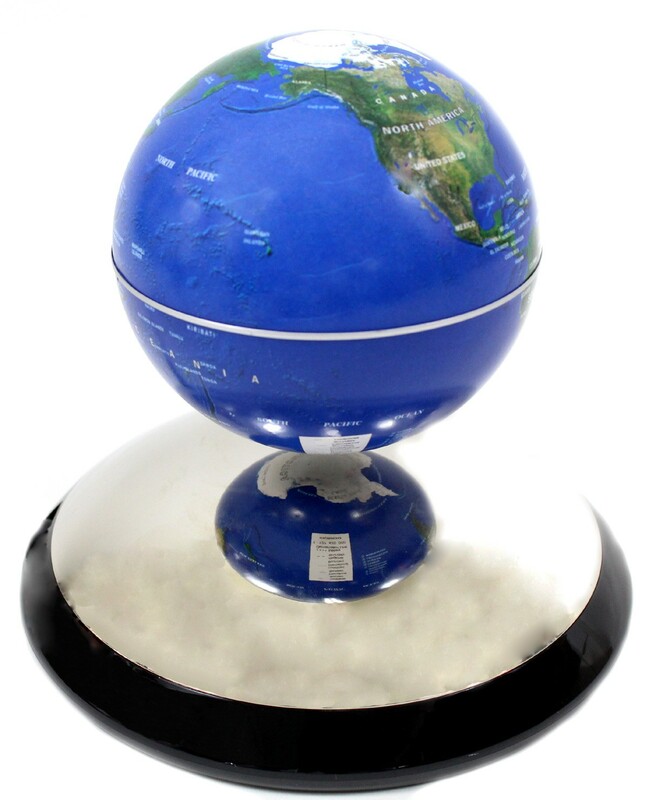 The 4" Earth globe has a removable magnetic platform that you can use to float your own collectable in space.